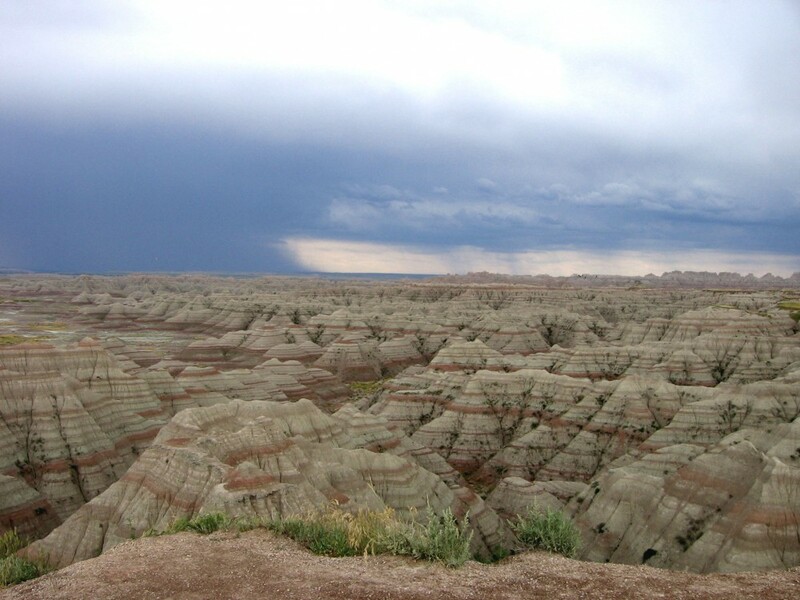 If you were driving a stagecoach or on horseback and came across this expanse of arid rock, you might call it a “miserable gully,” but if you’re interested in geological features and you have plenty of water, this 244,000-acre national park in South Dakota is worth exploring. 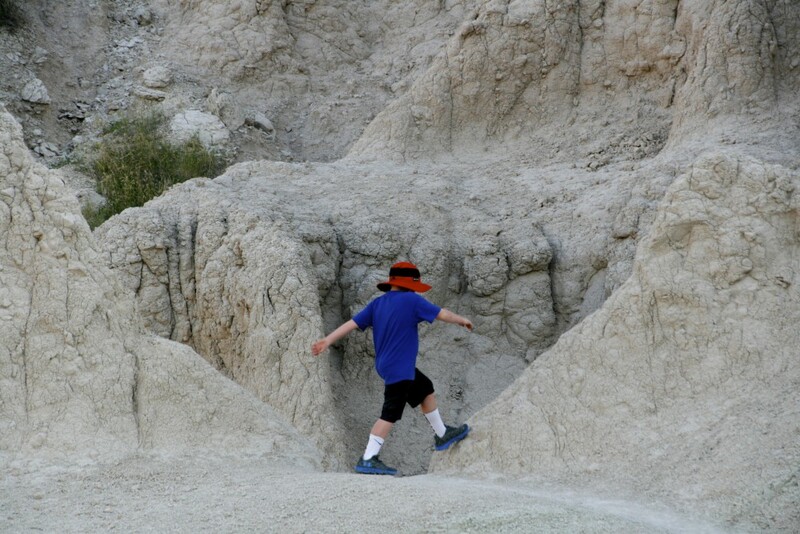 I’ve been to Badlands National Park several times in my life, but the most interesting and rewarding experiences have been the times I’ve stayed in the park. 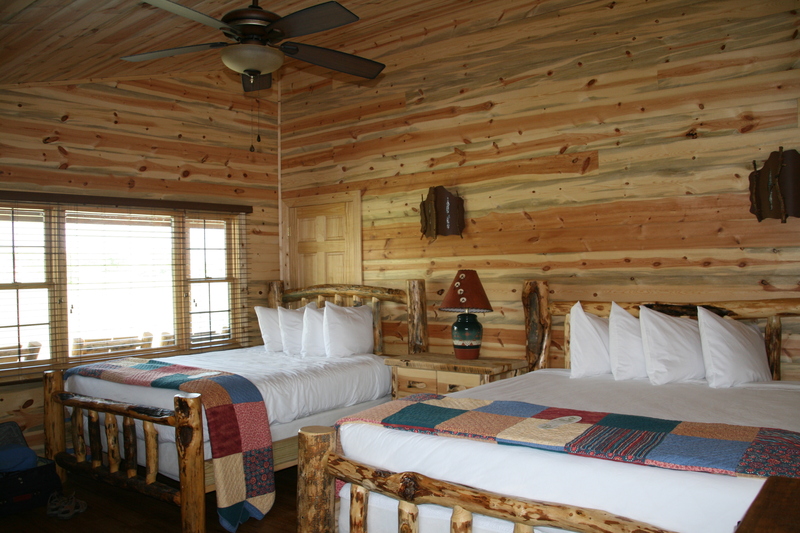 Last summer, we stayed in brand new cabins with AC. When the sun’s rays are not quite as intense, the light colored formations are not as blinding. I no longer have to squint. And when the sun sets (as late as 8:30 p.m. in the summer), the spires take on their own personality. 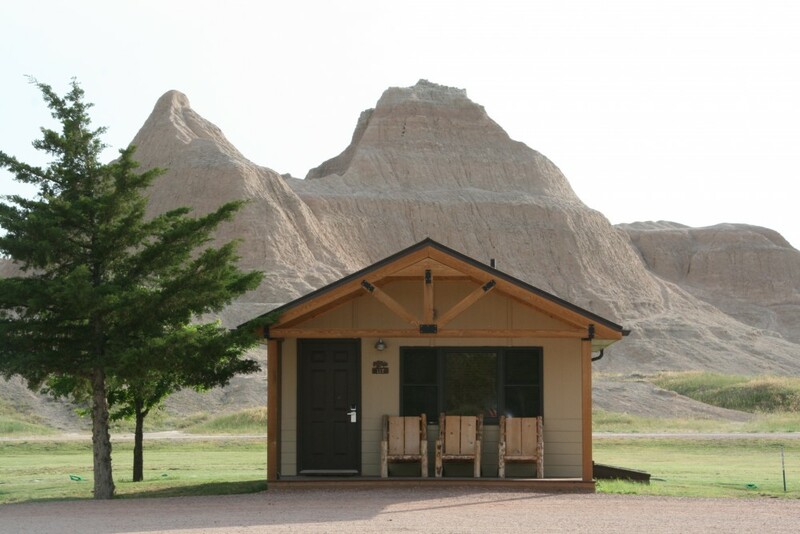 There is an evening program every night at 9 p.m. followed by night sky viewing through large telescopes. 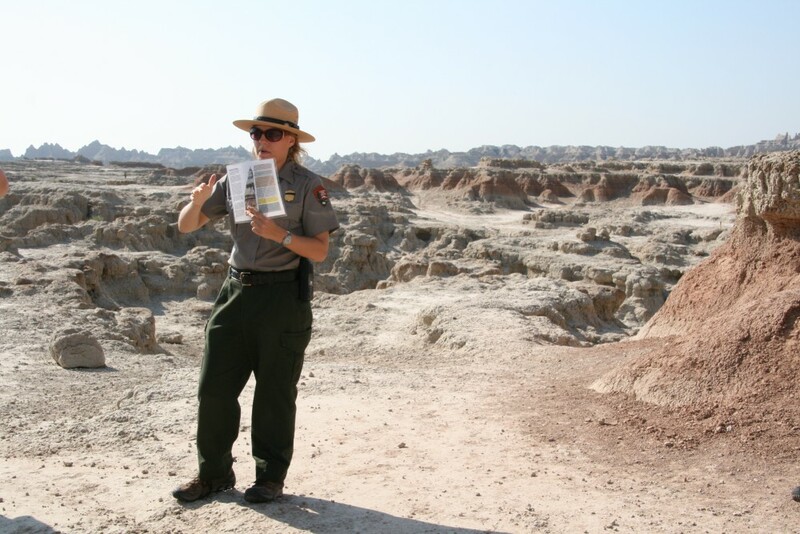 Every morning, just before it gets really hot, there is a ranger-led walk at 8:30. 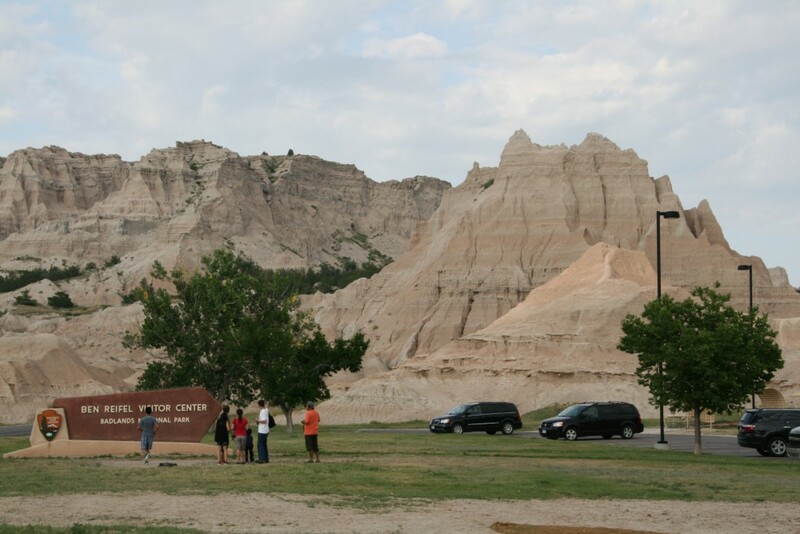 Be sure to check out the Ben Reifel Visitor Center where, besides learning about the rock formations and nearby floral and fauna, you can see real paleontologists working on fossils. The gift store at the Cedar Pass Lodge is one of the best in the area for finding unique and quality South Dakota items, everything from books to jewelry to herbal tea. If you’re hungry, check out the Cedar Pass Restaurant. In addition to the Sioux Indian Fry Bread and Taco, the restaurant includes South Dakota steak and fish and many gluten-free items. 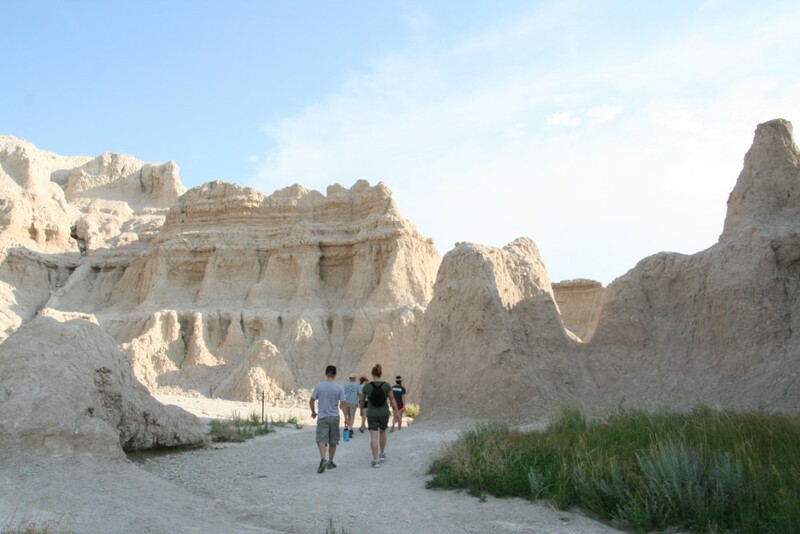 Gluten Free, Hiking, National Parks, Road Trips, South Dakota, U.S.